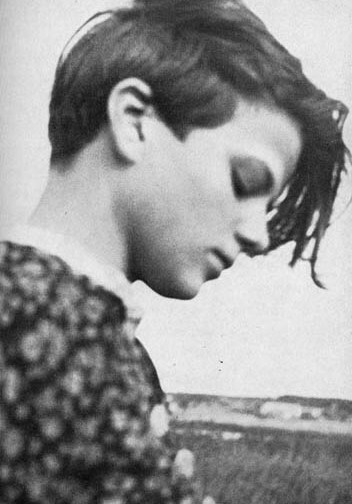 Hans and Sophie Scholl had allied themselves with a secretive group within Germany. In the early 1940s, this was akin to signing your own death warrant given the subject that the group was concerned with: Nazi atrocities and how they might be stopped. They were university students and they were proponents of nonviolent resistance. Instead of planning assassinations and armed coups, these people--including Sophie's brother Hans--formed a group that became known as "The White Rose." Encouraged by their philosophy professor--Kurt Huber--the White Rose wrote, published, and distributed pamphlets about what the Nazis were doing. In their own words: "We will not be silent. We are your bad conscience. The White Rose will not leave you in peace!" They published statistics about the numbers of Jews and political dissidents arrested and executed in the name of "Nazi progress." Along with these statistics they appealed to the people of Germany to refuse to be a complicit part of genocide and atrocity.They also took to graffiti with a tar based paint on university buildings. Their graffiti proclaimed a great desire for freedom that they felt Hitler and his ilk were slowly strangling in Germany. 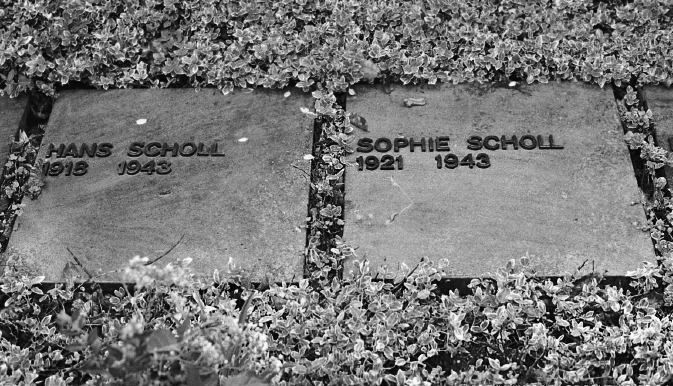 Sophie and Hans must have been anxious as they approached the university building where hundreds of students were attending class. They carried suitcases and this would be very conspicuous for two young people during the day. But they had no other easy way to carry the leaflets into the hall without the suitcases and so they did it anyway. Few knew who the members of the White Rose were but loyalists were on the lookout for suspicious behavior. They arrived at the class building and began quickly unloading the leaflets into several piles in the common area to where the classes would be dismissed.Once the classes began to empty, the students would pick up the pamphlets and read yet another stirring argument against passive acceptance of evil. The Nazis had recently lost the battle of Stalingrad and so the White Rose hoped to capitalize on it and convince yet more people that the Nazi campaign was not only evil but doomed to failure. Its writing hearkened back to the first leaflet they had released: "Isn't it true that every honest German is ashamed of his government these days? Who among us can imagine the degree of shame that will come upon us and our children when the veil falls from our faces and the awful crimes that infinitely exceed any human measure are exposed to the light of day?" Hans and Sophie had dropped off the pamphlets and were fleeing before classes were dismissed when they noticed a handful of pamphlets still in the suitcase. Sophie grabbed them quickly and ran back to the building. She ascended the stairs and in a poetic--and partially prophetic--gesture she flung them into the air and let them flutter down to the floor. She was witnessed by the custodian who turned in Hans and Sophie. Soon, Sophie and all those who associated with her were arrested and facing trial for treason. They had dared to speak ill of those who would not accept the truth. For this, they were tried and condemned to be beheaded. On February 22, 1943, they were executed in the guillotine. Sophie was strong and confident to the end of her life and was not deterred by those who hoped to whitewash their sins. She died a martyr because she refused to stop seeing and decrying the atrocities that were being perpetrated. Her dying words were: "God, you are my refuge into eternity" while Hans preferred the prophecy of "...your heads will fall as well."